Earlier this month we had the opportunity to present CyArk’s work in Greece to the Greek-American community at the National Hellenic Society Heritage Weekend and Classic. We have just begun collecting some extraordinary sites in Greece thanks to the generosity from our friend and supporter George Macricostas. He has made a real difference in protecting important sites in Greece which, thanks to this work, will be made available to students in their classrooms and homes all over the world to learn more about Greece and its rich history. 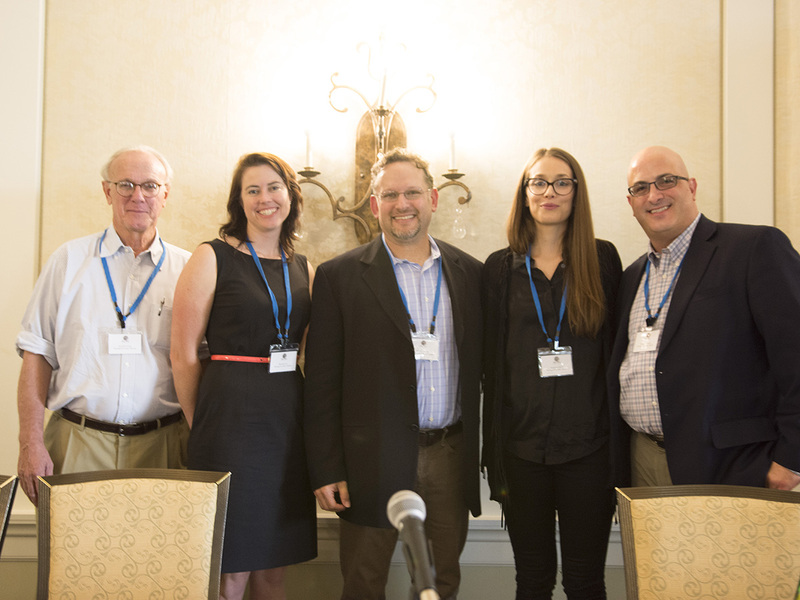 At the generous invitation of the National Hellenic Society, I was given the opportunity to present as part of the Heritage and Culture panel during the event. 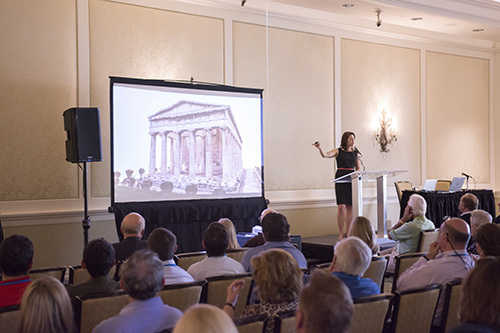 The presentation featured CyArk’s collaboration with the American School of Classical Studies at Athens (ASCSA) to digitally preserve portions of the sites of Ancient Corinth and the Athens Agora. It was wonderful to present this work alongside Dr. John Camp of ASCSA who has excavated at the Agora for the past 50 years as well as the producers of the National Geographic series, The Greeks. 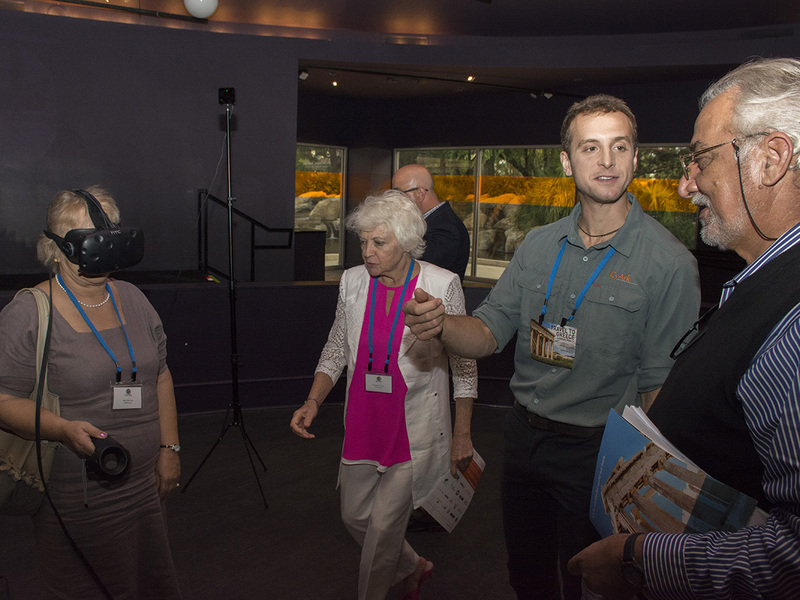 In addition to the presentation, we were fortunate to present two virtual reality experiences from the data captured in Greece. The audience remarked on how exciting this program is for increasing appreciation of Greek heritage as well as encouraging tourism and investment in Greece. A big thank you to the National Hellenic Society for including us in the event, we really enjoyed connecting with members of the Greek community. We look forward to our continued work in Greece and our collaboration with ASCSA. Please join us in this program to make a real difference in the education of our children and the preservation of our rich shared heritage.